As prescribed in their curriculum, the III B.Sc. students are engaged in-group project work. A group of maximum 10 students are guided by one faculty. The topics selected are usually relevant to the local area. Twenty-five hours are set apart for the field study/study tour during the Fifth Semester.. Neverthless, such studies may also be conducted any time during the span of the course. A total of five days are set apart for visiting places of general biological interest and two days for work and studies concerned with elective subject. A detailed report of the field study /study tour, specifying the places and institutions visited, date and time of visit, details of observations made etc. are submitted for evaluation on the day of practical exams. Department of Zoology in association with the college Nature Club has made an attempt to preserve the Biodiversity of the college campus by maintaining the regenerating Mixed deciduous forest near the college main building. This park was formally inaugurated by Dr. A. Achyuthan on Nov. 27th 2004. The Park is a symbol of the dedication & enthusiasm the students and staff have shown in preserving the natural habitat which now a days is a highly crucial factor. The park in itself is telling us that sustainable development is the need of the hour and that it can be put into practice. 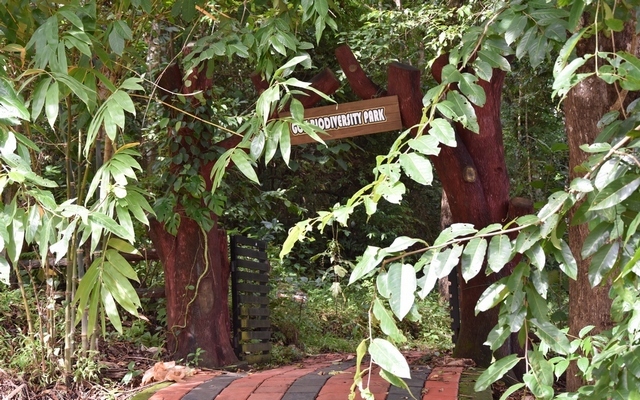 The existence of the Biodiversity Park with a rich collection of flora and fauna (birds, Butterflies, insects) in itself is extending its hands in maintaining a very pleasant climate in and around the campus which is well appreciated not only by the students/staff of the college but also by the people staying near by the college. 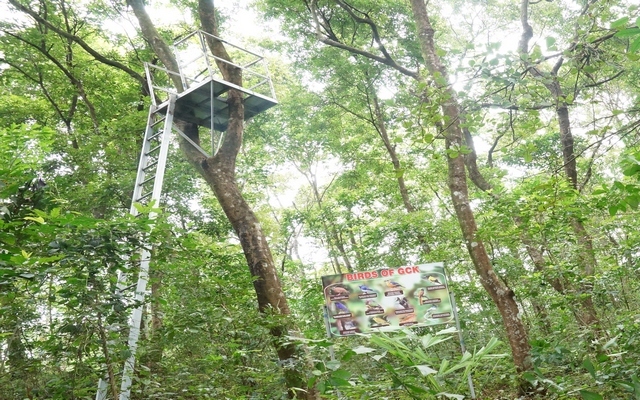 The department has taken initiative to conduct field study in the park with primary importance to bird watching to the students of the college and outside. 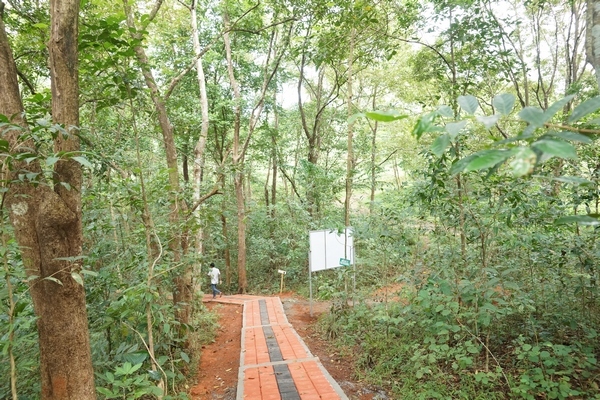 Many of the student projects done are based on the Biodiversity Park, which has helped in the documentation of the large variety of the Park fauna. As apart of the documentation of the fauna and flora of the Park Green Book was published in the year 2014 which listed the entire flora and fauna of the park till date. Department of Zoology in association with Nature club and Boomithra sena club has been organizing Nature camp for the students of the college as well to students (Higher secondary and College students) of the nearby locality once in every year since 2014. 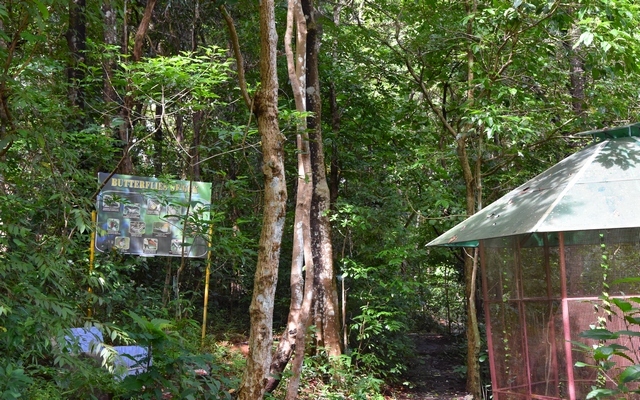 Interactive sessions, Night life, Bird watching, Trek to Biodiversity Park, Brunch with Butterflies etc are some of the highlights of this camp. Plant Identification Training was given to interested students and local public by conducting workshops on Tree Identification with the help of various organizations like MNHS, WRCT & VMK Botanical Gardens, Koduvally. 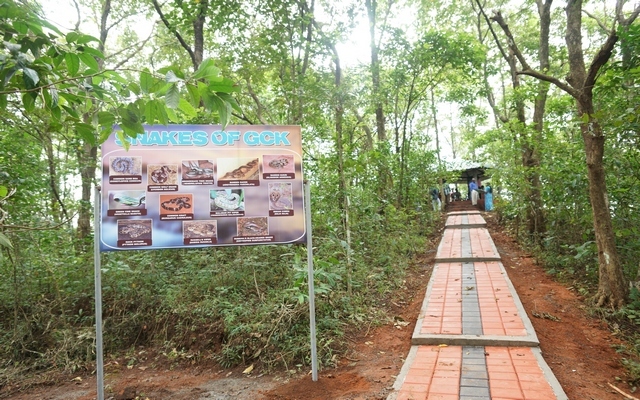 The Department maintains a continuous contact with the zoology Departments of the near by colleges, WRCT Nilambur, SACON, MNHS, ZSI in connection with collection and identification of specimens, documentation of the biodiversity of the college campus, organization of seminars, field trips . The zoology association is actively involved in organizing a number of activities including seminars, exhibitions, maintenance of biodiversity park and College Garden etc.